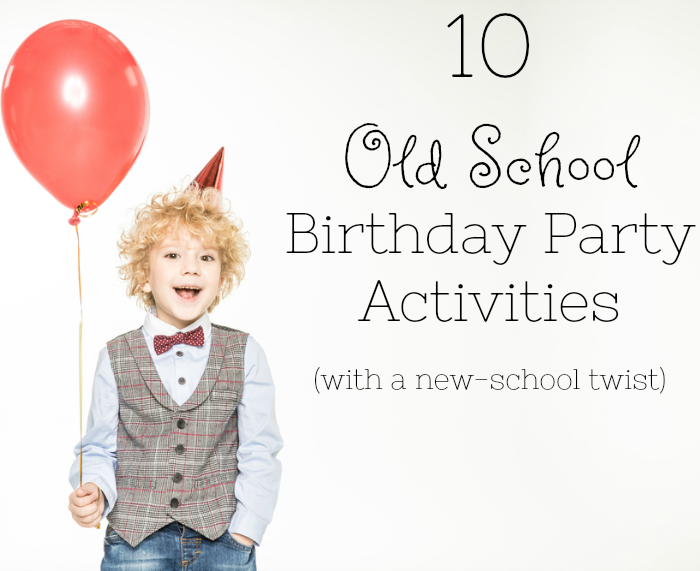 10 Old School Birthday Parties! Nine! Nine birthday’s to celebrate for little ones in my family this summer. Thankfully that includes two sets of twins, otherwise my cupcake intake could spell trouble as I simply cannot say no to a cupcake. Or two. Well, with twin birthdays two cupcakes IS the minimum. I certainly don’t want to seem rude. Since my oldest is about to be 15 (?!?!?! ), I spent some time reflecting on all the birthday parties we have hosted over the years. My verdict? Home-based, old school parties are incredibly tough to beat. Sure there is the planning piece. And the clean-up piece too. But the memories? Spectacular. Like the year we had the firefighter themed birthday party for Sam and our baby chicks started hatching, so it turned into a farmyard party. Or the year we had the humongous tarp outside on our hill for Madeline’s Mega Slip in Slide Party. 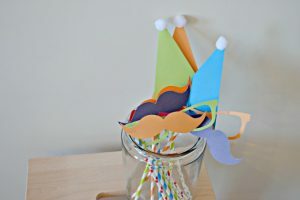 Anyways, I thought I could share some ideas to help with the planning piece of birthday party activities. The clean-up will be all you though. You got this Mama. 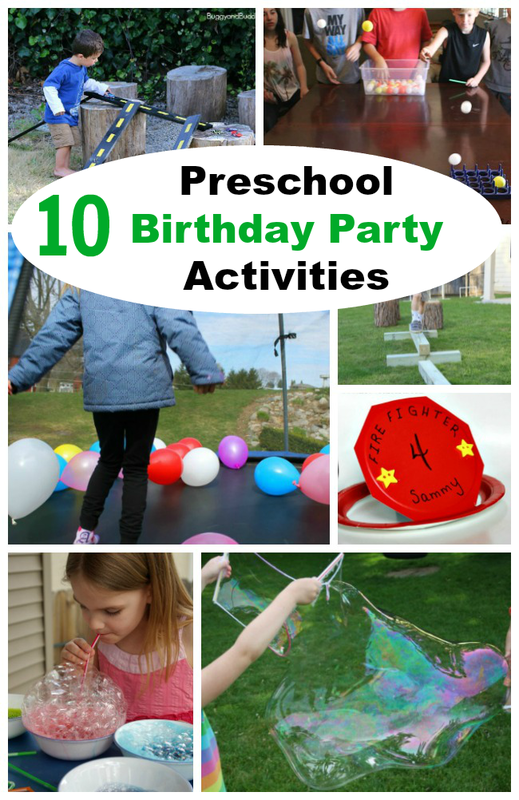 Get ready to get your preschool birthday party rocking with these awesome activities. 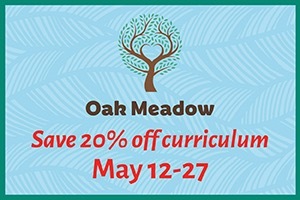 Because really – we all want those little ones to have an incredible time! And we need to make some memories too. 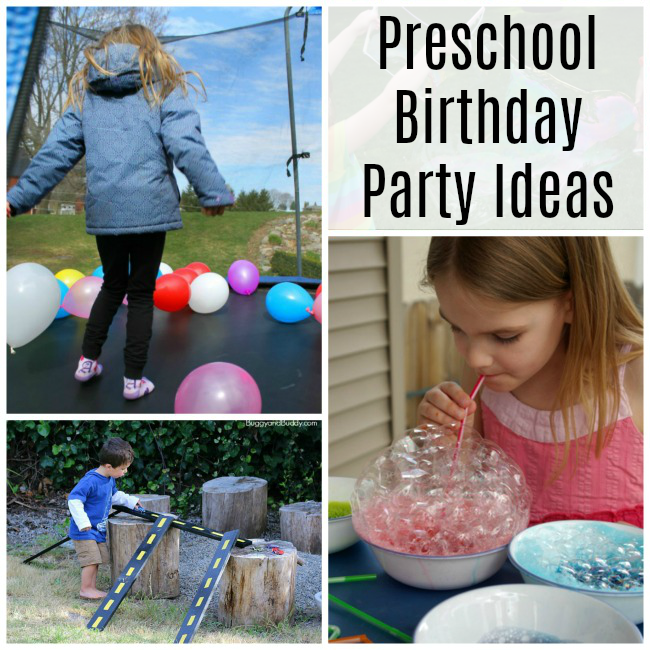 Outdoor Birthday Party Ideas – Take the party outside with these simple and fun ideas. 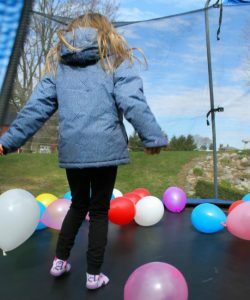 The balloons on our trampoline were an inspired hit with the kids! 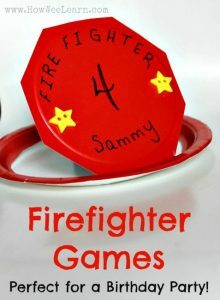 Play Firefighter Games – Little firefighters will love playing these games during a birthday party. Make sure they all have their firefighter hats to start with. 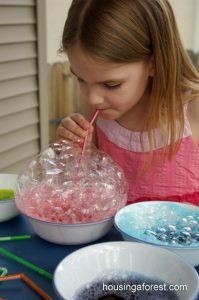 Make Giant Bubbles from Happy Hooligans – Have the kids help whip up a batch of the giant bubble solution. 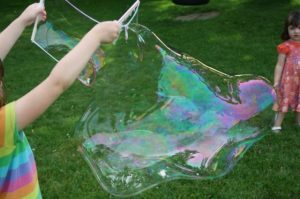 Then break out the homemade bubble wands and watch the giant bubbles appear! 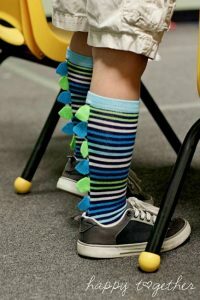 Stegosaurus Socks from Happy Together – Make your own socks for a preschool dinosaur party! The children can wear the socks as they pretend to be dinosaurs celebrating their friend. DIY Photo Booth with Props from The Life of Jennifer Dawn – Set up your own phone booth for the birthday boy/girl and all of the party guests! 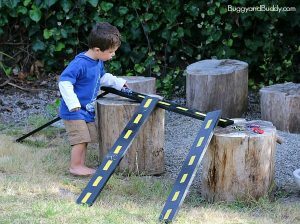 Wooden Roads and Ramps from Buggy and Buddy – Set these up in the backyard if you’re throwing a car or racing themed birthday party. 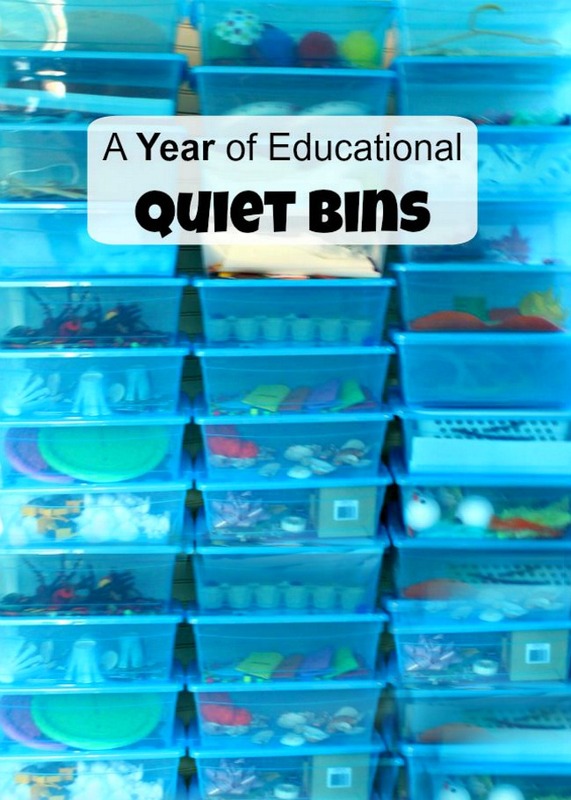 They’d be super fun for the kids no matter what kind of birthday party you’re planning. Train Costume from Craftulate – Pretend play is always welcome at a preschooler’s birthday party. So why not incorporate making the costume into the festivities? Bubble Painting from Housing a Forest – Get the little artists (aka the party guests) creating and having a blast with bubbles and paint. 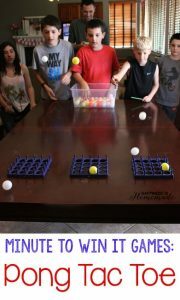 Ping Pong Tic-Tac-Toe from Happiness is Homemade – It’s not a party without at least a few party games, right? Make a moving tic-tac-toe game using ping pong balls. You could probably use egg cartons as a game board, too. 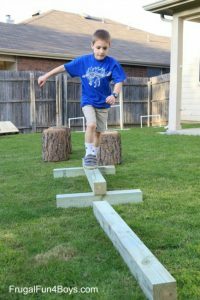 Backyard Obstacle Course from Frugal Fun for Boys and Girls – If the weather is nice, set up a challenge in the backyard for the kids! If the weather isn’t conducive to this, why not try setting up an obstacle course inside with some painter’s tape? How’s that for some inspiration? 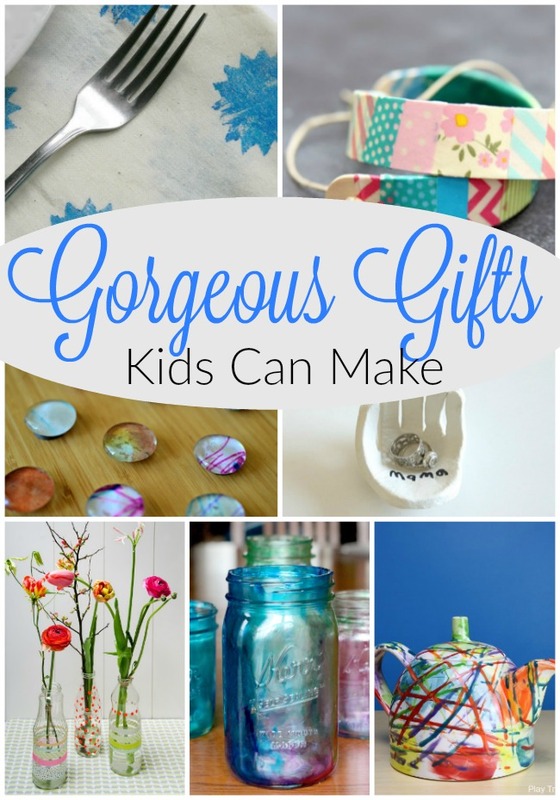 I hope you saw an idea or two that were just right for your little one. An extra special birthday party activity or two are bound to make your preschooler’s special day spectacular! And whatever you do – don’t forget the cupcakes. Special activities are great, but these little people know that birthday parties require cupcakes. Preschoolers are pretty easy to please generally: chocolate or vanilla. Or you could get really fancy with red velvet or angel food. Mmm. I really, really want a cupcake now. I hope you are having a wonderful week friends. Thank you so much for reading!